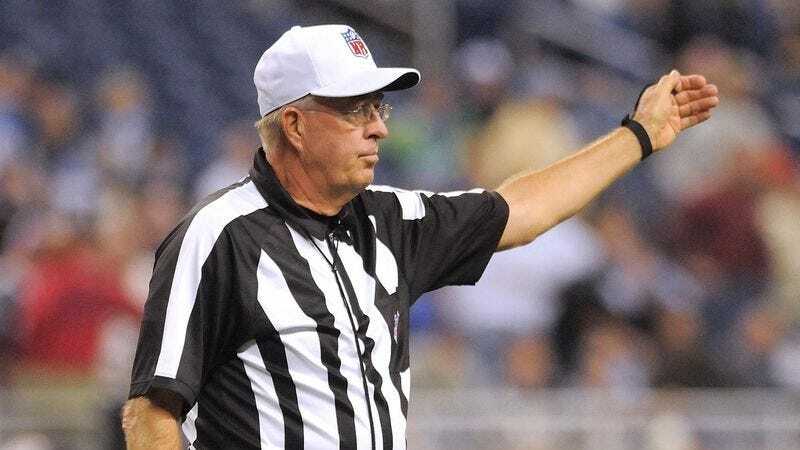 INDIANAPOLIS—Spending several minutes staring incredulously at the monitor in the official review booth, NFL head referee Ron Winter reportedly could not believe how old he looked in a video replay used in a coach’s challenge Sunday. “Jesus, is this what I look like all the time?” Winter said aloud as he watched the footage of himself giving the signal for a completed catch, reportedly zooming in to inspect his deep facial wrinkles that he had never noticed before. “There’s all this skin sagging around my throat, I’ve got these jowls, and where the hell did that stomach come from? I just seem so tired and worn. Oh Christ, look at how slowly I’m hobbling across the field, like some doddering old fool.” According to sources, Winter then closed his eyes and emitted a deep sigh after pausing the replay at the moment his hat flew off.